BP Garage Doors is the #1 choice for garage door installation, repair, and maintenance in the Temple Terrace area. 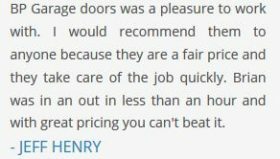 With over 20 years of experience in the industry, we have established ourselves as the best choice in the area for garage door service. 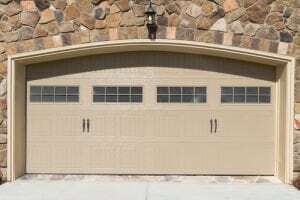 Our specialists are highly trained and are able to repair steel, wooden, or composite garage doors. Our services include garage door repair, broken spring repair, bent track repair, garage door opener installation and so much more! Whatever your garage door need may be, our team members will be happy to help you diagnose and fix the problem. With competitive pricing and highly trained specialists, BP Garage Doors is the best choice for all your garage door repairs, maintenance, and installation needs! Call today to speak with one of our team members to to get courteous, knowledgeable assistance you can trust! BP Garage doors provides full-service repairs and installation. Wooden doors, steel doors, composite doors – our highly trained technicians can do it all! We offer a variety of repair services for bent tracks, door opener installation, door maintenance, and more. From noisy doors to broken garage door openers – and everything in between – our experts will diagnose any problem you may be facing. Here at BP Garage doors, we value our customers. We understand that your garage door not only protects your assets, but it provides safety to your family and to your home. When your garage door isn’t working properly, it can pose a threat to the safety of your home. At BP Garage Doors, we pride ourselves on providing timely and effective solutions to all your repair and maintenance needs. As a locally owned and operated business in the Temple Terrace area, you can count on our technicians for prompt service! Rain or shine, our team will ensure that your garage door emergency will be fixed. At BP Garage Doors, we put the customer first. Safety and timeliness are our priority, and all customers will receive a 25 point safety inspection so you can be assured your door is operating safely. As a family owned business, we value our customers and we offer discounted pricing for seniors and military. Our same day services are competitively priced and we don’t charge extra for emergency or weekend calls. Call today for all your garage door maintenance and installation needs! 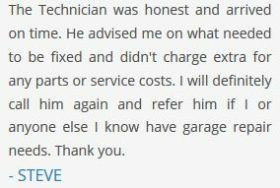 We offer a 10% discount to all first time clients – we want everyone to experience the BP Garage Door difference!